I regret to say that punctuality has never been one of my virtues (numerous though these may be!) - which is why now, at the very end of December, I am presenting here a Halloween-related zoomythological folktale, noting, as my only (feeble) excuse, that the telling of spooky stories is a tradition associated with Christmas too. As a child, I was lucky enough to receive as gifts from my family a series of large-format hardback books of world myths, legends, and folktales vividly retold by eminent folklorist Roger Lancelyn Green, beautifully illustrated by Janet and Anne Grahame Johnstone, and published by Purnell. 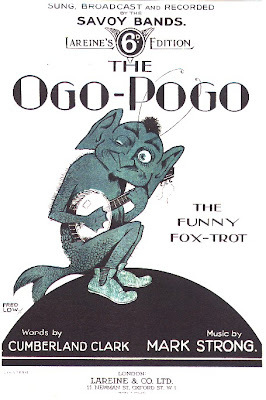 One of these volumes, Myths From Many Lands (1965), included Green’s retelling of a traditional French folktale, which he entitled ‘The Goblin Pony’. 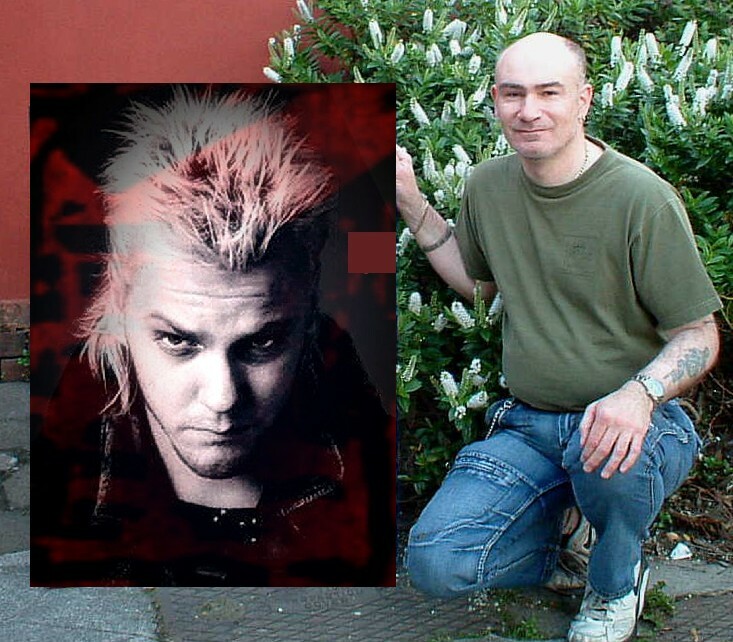 Years later, I discovered that in both appearance and behaviour this story’s eponymous supernatural entity was identical to the Irish pooka, and so fascinated me that a few years ago I penned my own, greatly-expanded version of it, which I reset in Ireland. Since writing it, I have variously thought of including it in some future book of mine retelling legends of mythical beasts or in my planned book collaboration with graphic artist Andy Paciorek re supernatural night creatures. If it is used in the latter, however, it may well need to be trimmed in length, so here, perhaps for the one and only time, and hence another ShukerNature exclusive, is the full-length, unedited version of my pooka tale of terror! Happy New Year! It was Halloween, so although she was a weaver of cloth by trade, tonight Molly was spinning tales of wonder and magic instead, regaling her three grandchildren with stories of the pooka, the master otter, the horse-eel, and many other mythical Irish entities - but their attention was beginning to waver. Sean, aged 15, was the eldest of the trio, and had thoughts only for Maire - the fair-haired daughter of their village's new school teacher. Sean's sister, Eileen, just a year younger, was mentally designing the new dress that she planned to wear at the forthcoming autumn fete. Only Patrick, their six-year-old brother, was still listening to Molly's words, although the log fire was gently lulling him to sleep. Molly smiled, pausing in her story-telling; and, as she did so, Sean stood up. The night outside was warm, and he had decided to take a walk, secretly hoping that Maire might be doing so too, and that they may then happen to meet. His plans were swiftly dashed, however, because Eileen and Patrick wanted to accompany him - so instead of walking into the village, they wandered through the outlying meadows and forests. Encouraged by the evening's pleasant ambience, the three youngsters strolled further than originally intended, eventually approaching an extremely large, deep pool, which they had never visited before - and with good reason. Traditionally, the villagers kept away from this area, because they believed it to be an accursed place - haunted by sinister shadowy forms. The pool lay still and dark, a mirror of liquid obsidian beneath a cloudy sky - but when the three youngsters stared into its sable depths a flurry of ripples raced across its surface, and a cold wind began to harry the clouds above. Eileen shuddered, and they were about to turn back for home when, to their great surprise, a frisky pony-like colt suddenly appeared, as if from nowhere, and began frolicking in front of them, at the pool's edge. It was an uncommonly hairy colt, and as black as the waters of the pool. For a few moments, it refused to let the children draw near, playfully gambolling out of reach as soon as they stretched out their hands to pat it, but it soon quietened, allowing them to stand beside it and stroke its rough, unkempt coat. Where had this colt come from? It had neither bridle nor saddle, and even its hooves were unshod. Whatever its origin, however, it must certainly have been splashing in the pool, because its coat was very wet - but the evening was warm, so who could be surprised? Nevertheless, for some indefinable reason Sean felt strangely ill at ease concerning their new-found friend. It was obviously just a trick of the light, but sometimes the colt's long mane appeared to him to be almost alive, dancing even when the breeze had stilled. And occasionally, when its eyes met his own unexpectedly, just for an instant it seemed to Sean as if they were infused with fire - as if bolts of lightning flickered in their fathomless depths. I've been listening to too many of Granny Molly's fairy stories, he thought to himself, smiling wryly as the colt rubbed itself against his legs, whinnying with pleasure as his fingers rubbed its ears. Suddenly, hardly knowing what he was doing, Sean leapt onto its back, his strong legs gripping its damp flanks, and his hands securing a firm hold around its powerful neck. Without further ado, Eileen mounted behind him, and there was just enough room for Patrick to sit behind her. When all three were seated, Sean gently tapped the colt's flanks with his heels, and it began to walk slowly across the meadow. Laughing, they urged it to go faster, and, obligingly, the colt quickened its pace, from a canter into a trot - and then from a trot into a gallop. Alarmed, Sean tried to slow the animal down, pulling at its mane, and calling out, but to no avail. On and on it ran, too fast for them to risk jumping from its back. All they could do was hold on and hope that it would eventually tire. Instead of tiring, however, it seemed to grow ever stronger. Suddenly, the colt changed direction - to their horror, it was now heading directly for the pool! Frantically, they tried to stop it, but it was too late. Even as they opened their mouths to scream, the creature had reached the water's edge - and as it plunged into its depths, the great pool seemed to rise up on all sides, welcoming the return of its demonic denizen, and engulfing the hapless victims that it had abducted. The hours had seemed like a lifetime to Molly, as she searched the village and surrounding countryside for her missing grandchildren. No-one had seen them, and no-one knew where they may be. Now, much to her apprehension, she was nearing the dismal pool that everybody had shunned for as long as anyone could remember. Old legends die hard, thought Molly, and some are more than just legends - especially on the night of Halloween. 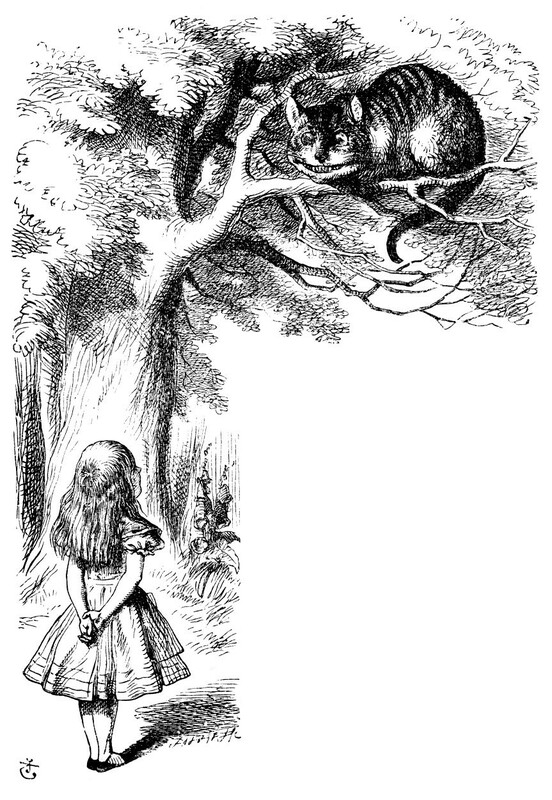 At that same moment, a shadow moved just ahead, but as she turned to look at it Molly realised that it was not a shadow. It was an old, shrivelled-up man, whose clothes were no more than rags hanging from his wizened body. He gazed briefly at Molly, an evil toothless grin stretching almost from ear to ear, but far worse were his eyes, for as they stared into hers they seemed to glow red, like cauldrons of scarlet flame. Molly shied away in terror, but when she looked back again the apparition was gone, as if it had never been. Only the cold silver moonlight remained, lighting up the desolate landscape ahead, where now, at the pool's edge, Molly could see three long boulders - or so she thought, until she walked closer. Her heart seemed to explode as she looked down at them - the 'boulders' were her grandchildren, lying cold and grey and still. They had drowned - all three of her grandchildren were dead. Numb with shock, for a time she was unable to tear her gaze away from this terrible scene, but when she finally looked up she realised that something was moving close by. Out of the night's shadowy darkness, something even darker was emerging. 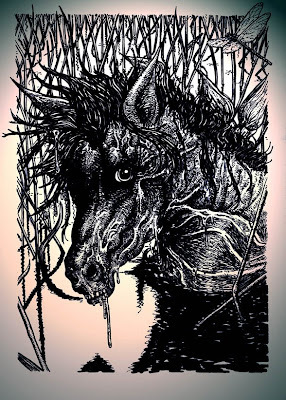 It looked like a pony, a black shaggy-coated colt, throwing its head upwards and neighing as it ran towards her. Such a merry creature was an incongruous contrast to the tragedy that she had just witnessed, but then, with flaring nostrils and dancing mane, the colt stared up at her - and Molly gasped in horror. Its exultant eyes were suffused with evil, and blazed like glowing coals, aflame with the very fires of Hell! This was no harmless colt - it was a pooka! Molly staggered back, almost stumbling to the ground, and the pooka reared up triumphantly, its forelegs lashing out at her with razor-sharp hooves. As she fell, however, she dropped her bag, whose contents tumbled out onto the grass. 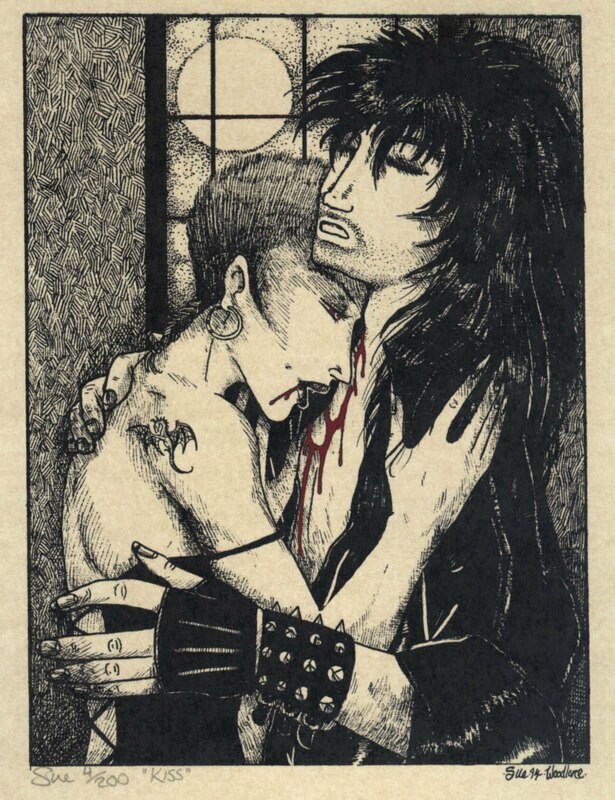 Among them was her Bible, which she instantly grasped, thrusting it up towards the malign beast's face. As she did so, the moon's rays illuminated the bright golden Cross emblazoned upon its cover - and the pooka disappeared. Please note: Andy Paciorek's spectacular, long-awaited book Strange Lands will be available via mail-order in early 2011, and includes a foreword by yours truly! The main shopping centre of Birmingham, the United Kingdom’s second largest city, is replete with unique shops and market stalls selling all manner of interesting and often quite esoteric items. Even so, the last thing that I expected to find there when casually browsing in a certain large fancy goods shop a couple of years ago was a sheaf of roc feathers! But that is precisely what I did find, much to my astonishment and delight. Allow me to explain. According to Eastern legend and lore, the mighty roc or rukh - featuring as one of Sinbad the Sailor’s most formidable protagonists in the ‘Arabian Nights’ - was said to be a monstrous bird of such prodigious size and strength that it could haul elephants aloft, and carry them away to its gargantuan nest where its brood of hungry super-sized offspring would feed upon these hapless pachyderms. For decades, zoologists and cryptozoologists alike attempted to explain the mythical roc as having been based upon sightings of a gigantic ostrich-like ratite known scientifically as Aepyornis maximus, the great elephant bird, standing 10 ft tall and weighing up to half a ton. Formerly native to Madagascar, this avian goliath inhabited the extensive marshes and swamps once present on this large island mini-continent, and was known locally as the vouronpatra or vorompatra. It is believed to have survived until at least as recently as the late 1700s, before a lethal combination of over-hunting, introduced avian diseases, and deforestation leading to the drying out of its swampland habitat brought about its demise, but fragments from its enormous eggs can still be commonly found on beaches here. Unfortunately, reconciling the roc with the great elephant bird faced one major problem. Aepyornis was flightless, and therefore wholly incapable of abducting unwary elephants and swooping off into the air with them, gripped tightly in merciless talons of steel as those dusty Arabian legends would have us believe. 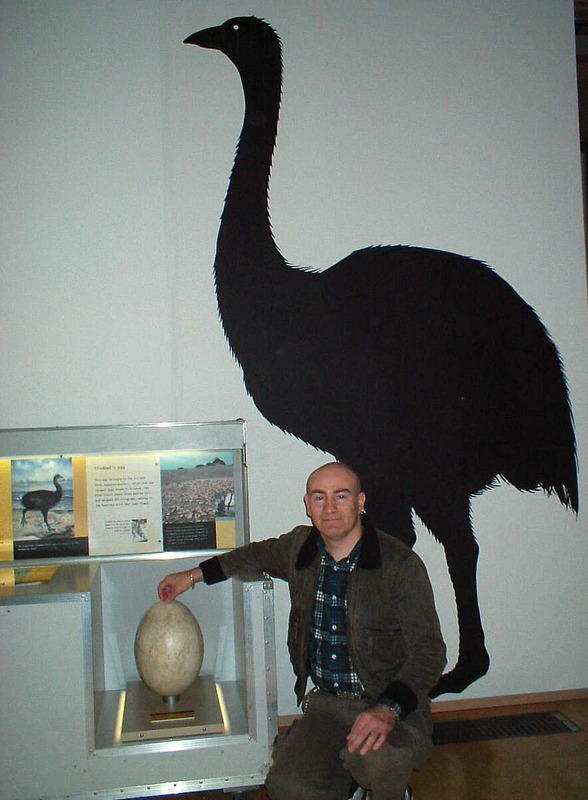 Nevertheless, on account of its huge size, the great elephant bird remained the closest match – indeed, the only remotely plausible match – for the fabled roc...until 1994, that is. This was when palaeontologist Dr Stephen M. Goodman published a paper documenting the subfossil remains of a hitherto-unknown species of huge eagle, which he formally christened Stephanoaetus mahery, the Madagascan crowned eagle, and which is believed to have survived on the island until around 1500 AD (both it and its prey were probably hunted into extinction by humans). This spectacular raptor is thought to have preyed not only upon various now-extinct species of giant lemur (subfossil remains show that some weighed up to 26.5 lb) but also quite possibly upon the great elephant bird itself. Clearly, sightings of this mega-eagle made by early European explorers visiting Madagascar and subsequent exaggeration of these sightings during retellings when back home provide a much more likely explanation for the origin of the roc legends than does the flightless elephant bird. Yet not even Madagascar’s colossal crowned eagle can explain the truly immense plumes that crusaders sometimes purchased in the Middle East to delight and bewilder their families and friends back home in Europe. Claimed by their Arabian vendors to be genuine roc feathers, they sometimes measured 3 ft or more in length, and their vanes’ blades were razor-sharp to the touch. In reality, of course, these spectacular objects were not feathers at all. 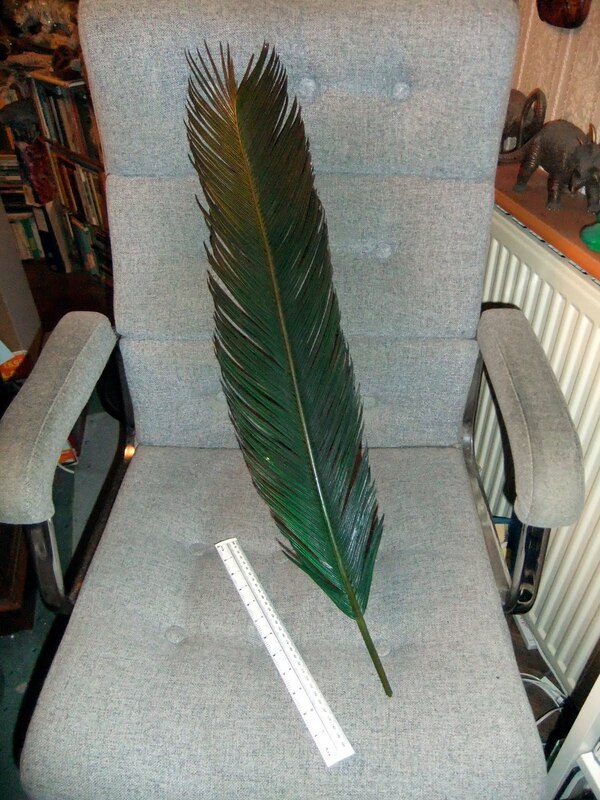 They were actually the extremely long leaves of the raffia palm tree Raphia regalis (and related species), but they were certainly convincing enough in their superficial resemblance to gigantic feather to fool the unsuspecting crusaders into spending their hard-earned money on them as exotic souvenirs. Moreover, when I first came upon the tall vase containing sheafs of these wonderful objects in that Birmingham shop, for just a few moments I too shared the shock and wonder that those crusaders must have experienced when first they saw them. A few of these pseudo-plumes stood nearly half as tall as I am (5’10”), and whereas some were brown, others were an exotic jungle green. 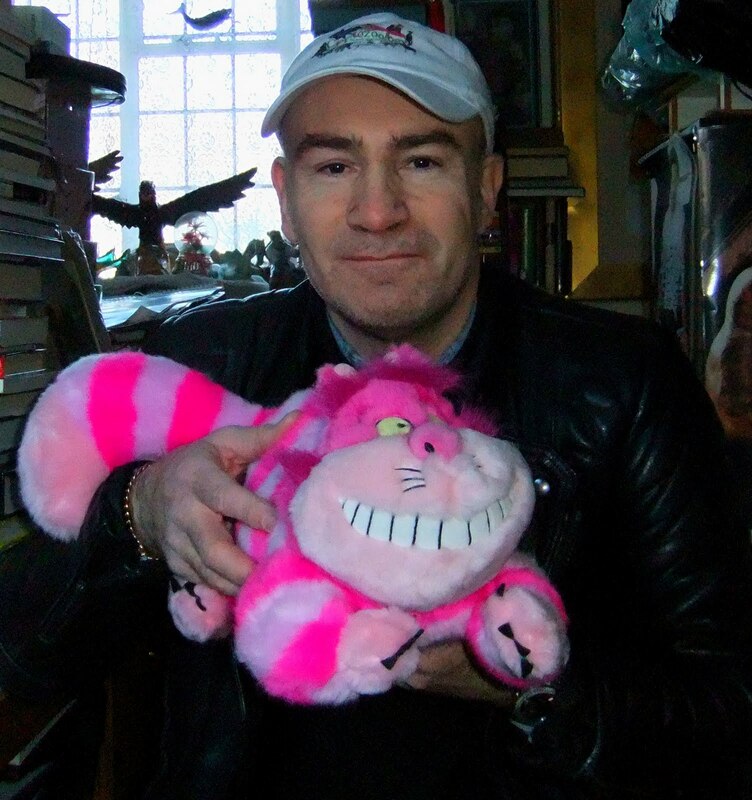 Once I’d recovered from my shock, I knew at once what they were, but I still marvelled at finding such cryptozoological curios in such a relatively mundane locality as a high street shop in Birmingham, rather than some mysterious, shadowy souk in the depths of an Arabian kasbah. Picking a few up – and soon discovering how painful it was when their sharp vanes stabbed into my hands! – I could definitely understand how their wily vendors in those far-distant Middle Eastern lands and times had talked the naïve crusaders into believing that these fantastic objects were roc feathers. Indeed, part of me even wanted to believe it myself! Instead, however, I satisfied myself with the knowledge that here were some wonderful additions to my collection of zoological esoterica, but I received a final shock when I took half a dozen of the green versions (which looked much more feather-like than the plainer brown ones) to the till to pay for them. Incredibly, all six together totalled less than £2, making them without a doubt the best cryptozoological bargains that I had ever purchased! A month or so ago, I found myself back inside that very same Birmingham shop, but its remaining roc feathers were long gone - which, I suppose, is no more than one should ever expect when dealing with imaginary monsters! Composed of dark schist, measuring 25 in high and 16.5 in wide, and richly adorned on both sides with elaborate, finely-wrought carvings, this remarkable artefact was discovered during 1898 by archaeologist James E. Quibell in the Upper Egyptian city of Nekhen (nowadays Hierakonpolis) while excavating the royal residences of various ancient Egyptian rulers. Despite dating back to c.3200 BC (the Old Kingdom), the palette has survived intact, and was a votive (gift) offered up by King Narmer to the sun god Amun-Ra. What makes this artefact so significant historically is that it not only bears some of the earliest-known examples of Egyptian hieroglyphics but also commemorates a major event in ancient Egyptian history - the unification of Lower Egypt and Upper Egypt into a single land, with King Narmer as the first ruler of both lands. On one side of the palette, King Narmer is vividly portrayed as ruler of Upper Egypt smiting his Lower Egypt enemy, and facing his own incarnation as the falcon deity Horus, god of the sky. On the other side, there are various depictions celebrating Narmer's triumph after capturing the crown of Lower Egypt, thereby unifying Upper and Lower Egypt. The largest, most striking image on this side, however, does not feature Narmer at all. Instead, it portrays a pair of inordinately long-necked creatures whose flexible necks entwine around one another, forming a border round a central circular reservoir that some researchers believe may have been used to hold perfume, or to serve as a receptacle within which such cosmetics were manufactured in situ. These extraordinary beasts are generally referred to as serpopards (though in at least one reference source they are termed mafedets), for good reason. 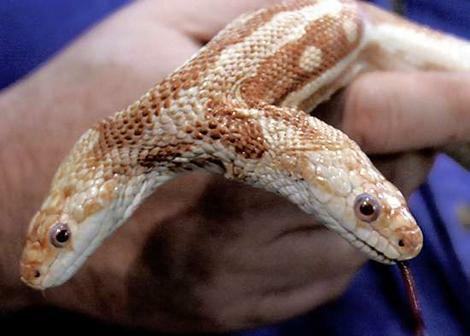 For whereas their necks are decidedly serpentine in appearance, their heads are very leopard-like. As for their bodies: I have seen them likened variously to panthers, lions, and even baboons. After having finally witnessed the palette at first-hand (prior to then, I knew of its images only from various internet pictures of varying quality), I agree that their bodies, long limbs, and lengthy tails certainly possess a degree of simian similarity, more than I had previously realised when simply viewing pictures of them. But what were these serpopards meant to be - wholly symbolic, a purely legendary beast, perhaps a very distorted portrayal of some known animal, or something more than any of these options? 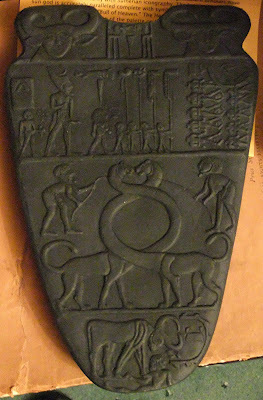 The reason why I was already familiar with the Narmer Palette is that in the past it has attracted a degree of cryptozoological speculation that the serpopards may conceivably represent a stylised or alternatively a distorted depiction of some mokele-mbembe-type species of surviving long-necked dinosaur that was alive at least at the time of King Narmer. Of course, this would not be the first time that ancient Middle Eastern records have inspired theories of historical dinosaur survival - the mushush or sirrush carved on King Nebuchadnezzar II’s resplendent Ishtar Gate of Babylon (which I was privileged to view at firsthand when visiting the Vorderasiatisches Museum in 1983 in what was then East Berlin), the huge monster Behemoth referred to in the Holy Bible, and a reptilian mystery beast in a short book of the Apocrypha entitled 'Bel and the Dragon' all readily come to mind. Could the serpopard be another putative neo-dinosaur? Much as I would like to admit it to this select crypto-company, after viewing the palette's serpopards up close and personal I was left in no doubt whatsoever that these necking entities were unquestionably mammalian, not even remotely reptilian. 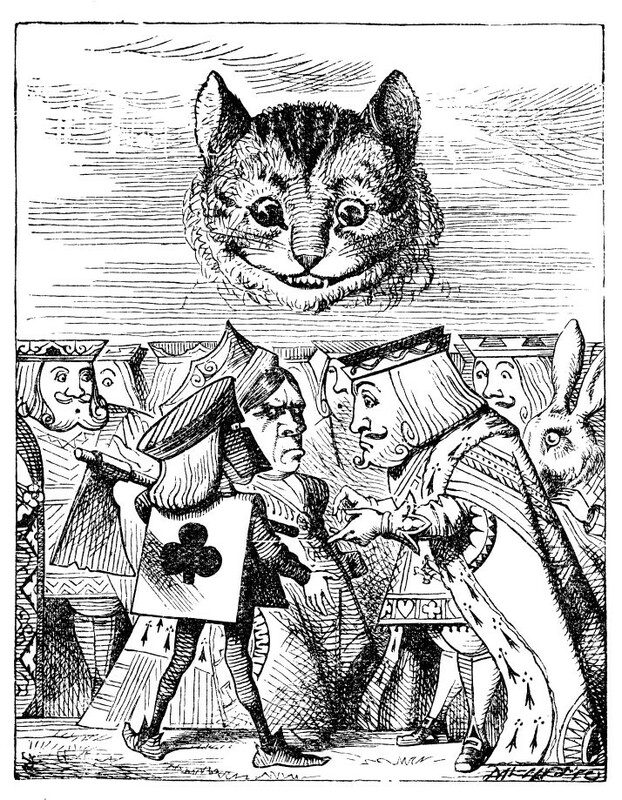 The serpopard head, complete with ears, is indeed leopard-like, not leonine as some have suggested, but the toes of the feet, posture of the body and limbs, as well as the limbs' relative lengths, and the shape and carriage of the tail all struck me as rather more monkey-like than feline. As for the palette pair's disproportionately long, impossibly flexible necks, it seems likely that they were intertwined not only to symbolise the union of Upper and Lower Egypt (as well as the eastern and western heavens? ), but also for practical purposes - to fit neatly around the palette's central reservoir. Interestingly, each of the two depicted serpopards is held on a leash by a handler, who may be a slave, or a tribute, indicating perhaps that the serpopards were a gift to King Narmer, or possibly even domesticated? Significantly, depicted serpopards are not restricted to the Narmer Palette. Another early Hierakonpolis palette, known as the Oxford or Two Dogs Palette and retained at Oxford University's Ashmolean Museum, also bears a pair of these striking creatures on one side, plus a single one on the other side. The paired serpopards on this artefact have even longer necks than those on the Narmer Palette, but this time they are not entwined - instead, they are held in a painful-looking zig-zag pose above their bodies, one on each side of a central reservoir. On the Two Dogs Palette (named, incidentally, after the two superficially canine - but quite possibly hyaenid - beasts comprising the upper section and outer sides of the palette, though the head of one is missing), the necks of the serpopards are striped, and there are stripes on their foreparts too. Another serpopard-depicting palette is the Four Dogs Palette held at the Louvre, Paris, and there is also a preserved cylinder seal from Susiana, the high country of the ancient Persian civilisation of Elam, that depicts a series of very long-tailed neck-entwined serpopards. Clearly, therefore, the serpopards of the Narmer Palette were clearly not just an invention of its sculptor, devised merely as a decorative motif for bordering and highlighting the palette's central reservoir and/or as a symbol of King Narmer's unified Egypt. A more conservative identity than a mokele-mbembe but no less intriguing is that perhaps the serpopards were poor representations of a giraffe (a species that once existed in Egypt), possibly based upon indirect descriptions of what this exceptional creature looked like rather than personal observations. If this were so, however, surely the giraffe's long legs would have been mentioned and described to the sculptor, not just its long neck. Yet although the serpopards' legs are fairly long, they are far shorter than one would expect for a giraffe, whereas their necks are much too long. In any case, it just so happens that there is absolute iconographical proof readily to hand to confirm that the serpopard and giraffe are totally discrete animals. On the reverse side of the Two Dogs Palette, a wide range of creatures is depicted, including readily-identifiable lions, antelopes, goats, a hartebeest- or gnu-like ungulate - and not only a serpopard but also a clearly-recognisable giraffe, the latter beast complete with long inflexible erect neck, small horns as well as ears on its head, long giraffe-like legs, hoofed feet, and downward-pointing tail. 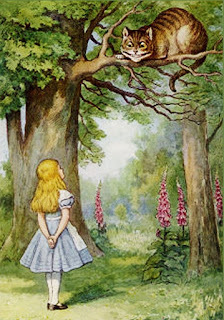 Just above it, offering a perfect opportunity for direct comparison, is a flexible-necked, hornless, leopard-headed, shorter-legged, toe-footed, upward-tailed serpopard - indisputably a wholly different animal. Equally worthy of note is that alongside portrayals of real animals on the Two Dogs Palette is not just a serpopard but a winged griffin too, depicted in traditional composite form with leonine body, eagle's head, and feathered wings. This provides immediate proof that ancient Egyptian sculptors carved real and fabled animals together, so the presence elsewhere of serpopards depicted alongside people and real animals cannot be taken as firm evidence that the serpopards themselves must also be real. Accordingly, the most reasonable solution to the mystery of its identity is that the serpopard is nothing more than another composite (albeit exotic-looking) mythical beast, just like the griffin, as well as certain other Egyptian monsters such as the hippo-bodied crocodile-headed ammut, and the venomous winged snakes that reputedly swarmed across ancient Egypt each year like locusts (indeed, perhaps they were directly inspired by actual locust swarms). After all, not all beasts of legend are creatures of cryptozoology in disguise - from centaurs and minotaurs to cactus cats and gooseberry wives, the inventive human imagination is more than sufficiently capable of summoning forth from its uncharted depths a veritable menagerie of wholly original monsters surpassing even the wildest excesses of Mother Nature. In July of this year (2010), I posted on my Facebook wall this photo of a very eyecatching but also very extraordinary framed Indonesian (Balinese?) 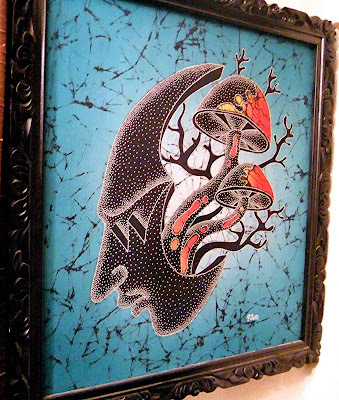 batique (aka batik) picture that I purchased from a friend a few years ago for the princely sum of £1, and I asked for opinions as to what its bizarre image of mushrooms emerging from a human head represents. 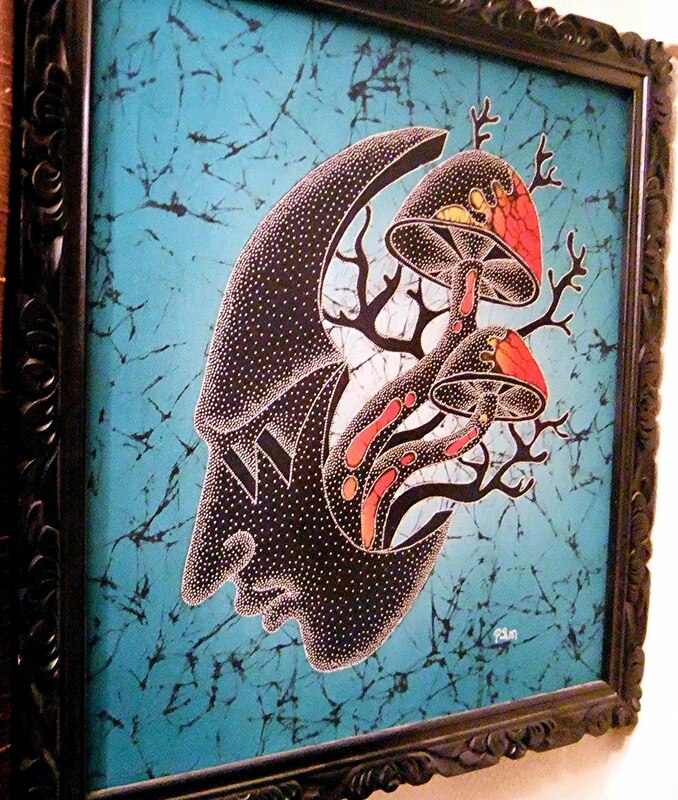 The most commonly-voiced notion was that it is meant to personify some form of psychedelic, magic mushroom-induced hallucination – as opposed to my own suggestion that it portrays a colony of were-mushrooms assuming human form! 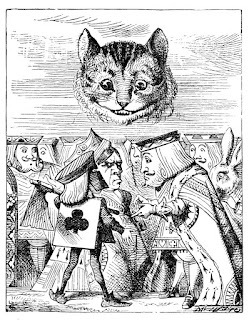 Seriously, though, its mystifying image is so intriguing and captivating, albeit in a somewhat macabre way – the framed picture currently hangs in the breakfast room at home and always attracts interest and comments from visitors – that I would definitely like to learn as much as I can concerning it. So if you are reading this and can offer any thoughts or information, please post whatever you can here. Looking forward to reading them! Wishing all of my fellow ShukerNaturalists a very happy Christmas and a successful New Year, thanking you all for reading and commenting upon my varied posts here during the past two years, and hoping that you continue to do so in 2011! This beautiful painting, btw, which appears in the archangel feathers chapter of my latest book, Karl Shuker's Alien Zoo (CFZ Press: Bideford, 2010), and depicts the archangel Gabriel announcing to the Virgin Mary that she would be giving birth to Jesus, the Son of God, is entitled 'Annunciation'. 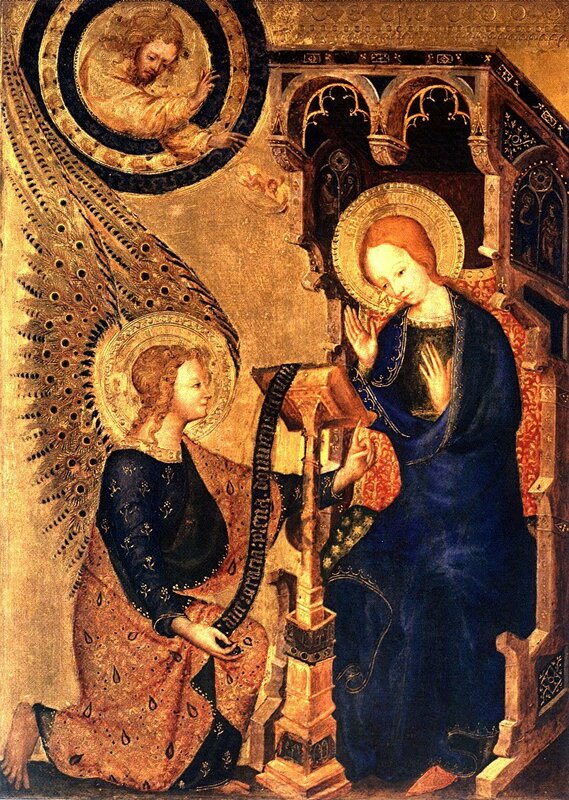 The identity of the artist is unknown, but experts believe that he was either French or Dutch, and that it was painted in or around the 1370s. I found a print of this particular painting, of whose very existence I was previously totally unaware, entirely by chance one day at a market when wondering what image I could use for a major Fortean Times article that I was planning to write on the subject of archangel feathers (and which, months after it had been published, was duly converted into the corresponding chapter on this selfsame subject in my Alien Zoo book). Clearly, therefore, and also very aptly, my search for an illustration of the archangel Gabriel had been assisted by the Library Angel! I have been asked many times whether I specifically planned a career in cryptozoology or whether it was just something that happened. Perhaps the truth is neither of these – perhaps it was destiny, pre-ordained, the hand of fate. Read the following and judge for yourself. Right from a child, my surname had always mystified me. I did know that it was German, even though my father’s family is entirely English in origin as far back as we can trace (which is several generations). So too is my mother’s family. What I didn’t know was what it meant. What was the English translation of ‘Shuker’? Despite perusing numerous books of surname origins as a child and early teenager, I never managed to find any mention of mine – until one day during the mid-1980s, when, while idly thumbing through yet another such volume in a Birmingham bookshop, to my great surprise I found it! But that surprise was nothing compared to what I experienced when I discovered what my name actually meant! According to that book, ‘Shuker’ derived from ‘Schuck’ (I had previously read that ‘Shuker’ was once spelt ‘Schucker’), which was apparently a Germanic term for ‘monster’! More specifically, it referred to a goblin-like creature of the night, especially one that could acquire the form of a huge black dog – which may help to explain, therefore, the origin of the name ‘Black Shuck’ for a famous example from eastern England of the Black Dog zooform phenomenon. In other words, I had a cryptozoological surname - or, at the very least, one that pertained directly to unexplained creatures! Having said that, I later discovered an alternative derivation for my surname – this time from ‘Schuker’, an early Germanic name of pre-10th Century origin, which was an occupational term for someone who earned their living by sieving corn by shaking. 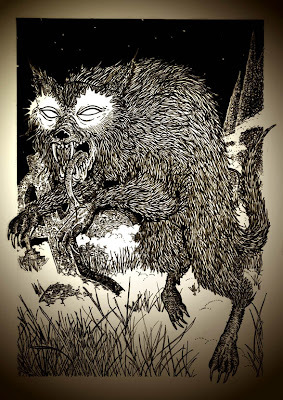 Nevertheless, the very fact that one translation for ‘Shuker’ involves a direct link to monsters and mystery beasts is nothing if not intriguing, and would remain so even if that were all – i.e. even if there were no other links between such entities and names appertaining to me. But that is not all. Guess what my two nicknames were at school? One, due to the presence of several stone ornaments of that nature in my front garden, was Gnome – a mythical mini-humanoid entity. The other, due to my surname not rhyming readily with any familiar word, was a seemingly inconsequential nonsense word, at least as far as the young junior-school children who coined it were concerned. However, it would be instantly recognised as something very consequential by any self-respecting cryptozoologist or zoomythologist. For the nickname in question was none other than ‘pooker’, which, with only the slightest change in spelling, becomes ‘pooka’ - a legendary Irish monster, taking the form of a huge black dog or goblin pony that carries off unwary children and drowns them (click here for a separate ShukerNature post retelling this famous Irish legend). And as if all of this cryptozoological and zoomythological lexilinking were still not intriguing enough, my maternal grandmother’s maiden name was Griffin! In other words, a direct name-link with that famous beast of legend that sports the head and wings of an eagle but the torso, limbs, and tail of a lion. Even my home town, Wednesbury, is named after a Nordic god - Woden or Odin, thus explaining why you can find here a beautiful gleaming metal statue of Sleipnir, Odin’s unique eight-legged steed. A cryptozoologist by choice, or by destiny? Somehow, I don’t think that choice ever came into it, do you? As you may know, highly-acclaimed graphic artist Andy Paciorek and I are planning various collaborations. One of these may result in a future book on supernatural entities of the night. Consequently, I'm currently preparing some samples of text for it, and here, in an exclusive preview, is one of them. I hope you enjoy it! Alone with the ghosts of days long departed, stretching back in silent homage, I dream that I am gazing into a looking glass and fancy that I see there, staring back out at me, a tall grim shadow, a wraith in human form that haunts my very being, chills my innermost essence with its dread pallid countenance, mesmerising and yet also captivating me with its icy doom. I have so many questions to ask this creature of darkness and night, I scarcely know where to begin. Why do you and your kind exist? But why feed upon blood too? I stand before this mirrored being of nightmare, and imagine with trembling electric horror its long slender fangs pressing so softly, imperceptibly, against my exposed neck, seeking the throbbing jugular beneath before sliding within, to freeze forever my existence with a single scarlet-trickling kiss of eternity. But what kind of existence will it be? Nothing but an undead, half-living, surely, surrounded by death but unable to find release. I'd very much like to include this wonderful artwork in a future publication of mine, so I've been trying to trace its artist for a very long time, ever since I purchased my numbered print of it, in fact, one Sunday afternoon in 1994 at the Sunday market formerly held regularly at the Holiday Wharf in Birmingham, England. I can't quite read her signature on the picture - her surname may be Woodlace, Woodlane, Woodlore, or even something else entirely! - but if anyone reading this blog has any information regarding her identity and/or current contact details, I'd love to hear from you! Compared to such famous North American ‘monster’ lakes as Okanagan and Champlain, Lake Iliamna remains little-known and little-investigated. 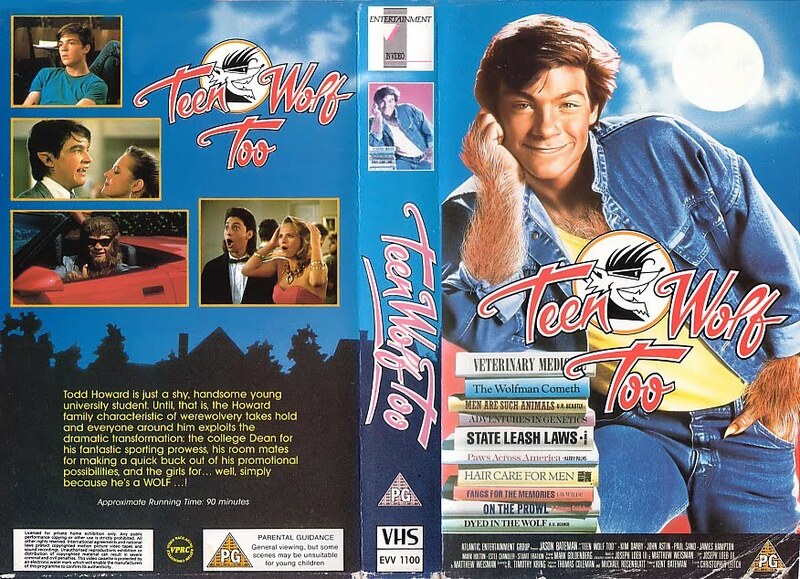 This is due in no small way to its location – ensconced in southwestern Alaska. In terms of size, however, it can scarcely be overlooked – as large as the state of Rhode Island, this lake measures a very impressive 120 km long, up to 35 km wide, and has a surface area of around 2600 square km. Moreover, the unidentified water beasts, popularly dubbed Illies by the media and cryptozoologists, reported from its waters are equally memorable. Not only are they decidedly large – often claimed to be as much as 10 m long – they are also very different from the many-humps and long-necks more commonly reported from North America’s inland waters. Long known to the area’s Inuit/Aleut people, who refer to this cryptid as jig-ik-nak, the Illie is usually described as very long and quite slender, greyish in colour, and with a noticeable dorsal fin marked by a white stripe. It swims just beneath the water surface, sometimes in groups, but unlike a number of other lake monsters it does not come up for air, remaining submerged, and therefore seemingly able to breathe underwater, like a fish rather than a mammal or reptile. 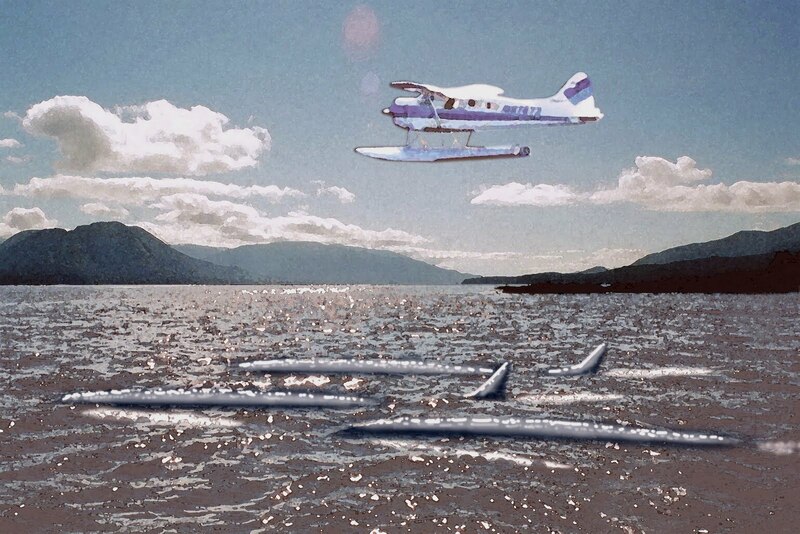 This was confirmed in 1963 by a biologist from the Alaska Department of Fish and Game, who watched an 8-10-m-long creature swimming beneath the water surface for over 10 minutes, during which time it never once surfaced. 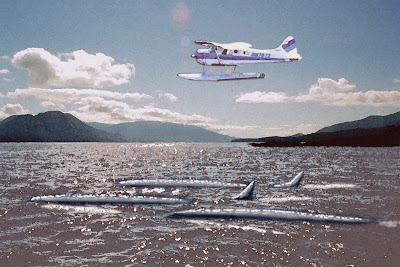 In 1977, air-taxi pilot Tim LaPorte and his two passengers saw from the air a dark 4-5-m-long animal whose back was just breaking the water surface. When it dived downwards, it revealed a large vertical tail – characteristic of fishes, as whales have horizontal tails. There seems little doubt that the Illies are indeed fishes, albeit exceptionally big ones, and the most popular identity is a sturgeon, in particular the mighty white sturgeon Acipenser transmontanus, which is known to attain lengths of up to 7 m. Although sturgeons have never been confirmed from Lake Iliamna, they are known from other, smaller Alaskan lakes (Iliamna is the largest lake in Alaska). Consequently, it would not be implausible for this immense body of water to house such fishes too, and for them, on account of the lake’s huge size and the plentiful food supply that it is known to contain, to attain record sizes here. Silver in the shadows of my song. Even though I have spent more than a quarter of a century uncovering, investigating, and documenting bizarre reports from the sequestered but ever-fascinating realms of unnatural history, there are countless others still out there waiting to delight and bemuse me. One such example was very kindly brought to my attention a couple of days ago by Mark North of Dark Dorset, and is unlike any that I had previously encountered. "DRESS MADE OF SPIDERS' WEBS (7 th S. xi. 445; xii. 34). MRS. WHITE mentions as a great curiosity the dress made from spiders' webs presented to the Queen by the Empress of Brazil in 1877. Most certainly it is, and to most British minds such a thing might seem incredible ; but if your correspondent were to visit Fiji which is famous for its magnificent spiders he might perhaps have less cause for wonder. 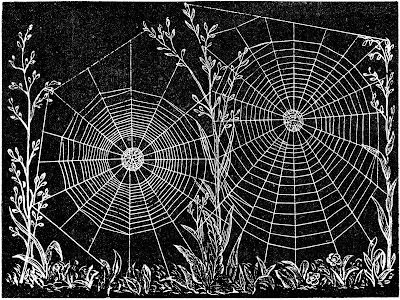 The web made by the big yellow spider here is very large and strong ; but in addition to the web proper, in which flies, mosquitoes, &:., are caught, it spins a cocoonof orange-coloured, silky, gossamer-like stuff, which, if taken up in the fingers, requires quite an effort to break. This stuff I can conceive might be woven into material for a dress. Might not the dress in question have been composed of similar material made by the Brazilian spiders? "I can hardly, even now, believe that it could have been composed of what we understand to be the ordinary spider's web. I can quite imagine, however, that such a material might be of some commercial value, as one frequently hears complaints at the present day of a want of fineness in fibres or materials used for scientific purposes. 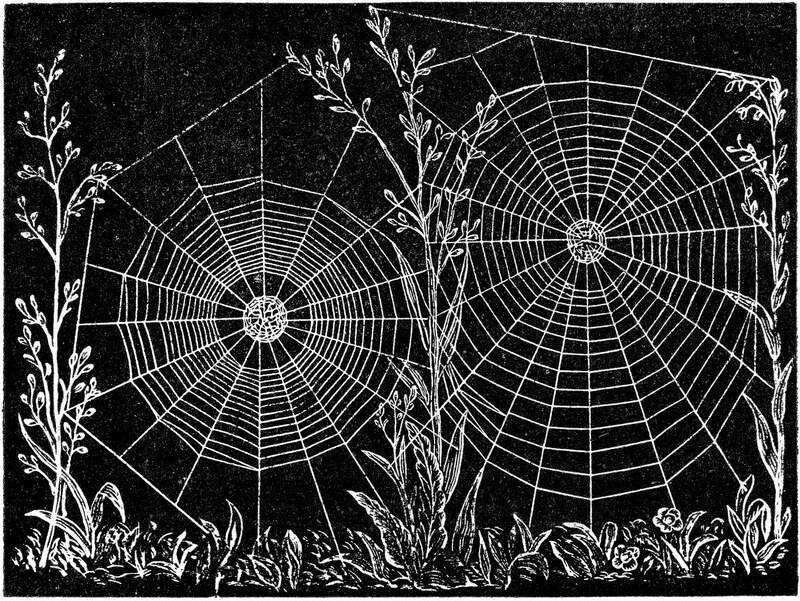 "I may add that our cockroaches are huge too; but, by a merciful dispensation of Providence, our spiders are in proportion. The particular enemy of the cockroach here is not the big yellow spider above mentioned, but a long-legged, formidable looking brown spider, called the "hunting spider." I cannot find out that this species spins any web, but apparently depends upon its great activity for securing its prey. I know, however, that it can bite pretty sharply, as I once saw one draw blood from the finger of a doctor friend of mine who was capturing it for me. It is often to be seen hugging a large, flattened, circular, cream-coloured bag, which, I take it, contains its eggs. We never kill spiders in Fiji. The natives venerate them as much as the Dutchman does his stork, and perhaps with more reason. "P.S. Since writing the above I have been told by a friend of mine here that on one occasion he had carefully examined the long line stretched between two points from which the web of the big yellow spider mentioned above was suspended, and found it had a beautiful golden silky appearance, and was so strong that he was able to wind it round a piece of cardboard. If this can be considered part of the web proper, then in all probability a light, silky material could be woven from it, and the Brazilian dress be not quite so extraordinary as at first sight it might appear." Sadly, as my knowledge of Fijian and Brazilian arachnids is not extensive, I am unable to identify the species involved here - so if anyone reading this could offer any suggestions, Mark and I would be very happy to receive them. Incidentally, the lines opening this blog are a fragment of verse from an as-yet-unfinished poem of mine entitled 'Spider of the Night' - inspired in turn by the evocative title of a very popular tango (as opposed to a tarantella! ), a version of which I have now uploaded onto YouTube, which can be accessed here. As an ardent collector of data appertaining to zoological freaks, caprices, and monsters of the teratological kind, two of my fondest longstanding daydreams have focused upon the discovery of an elephant with two trunks and a camel with three humps. 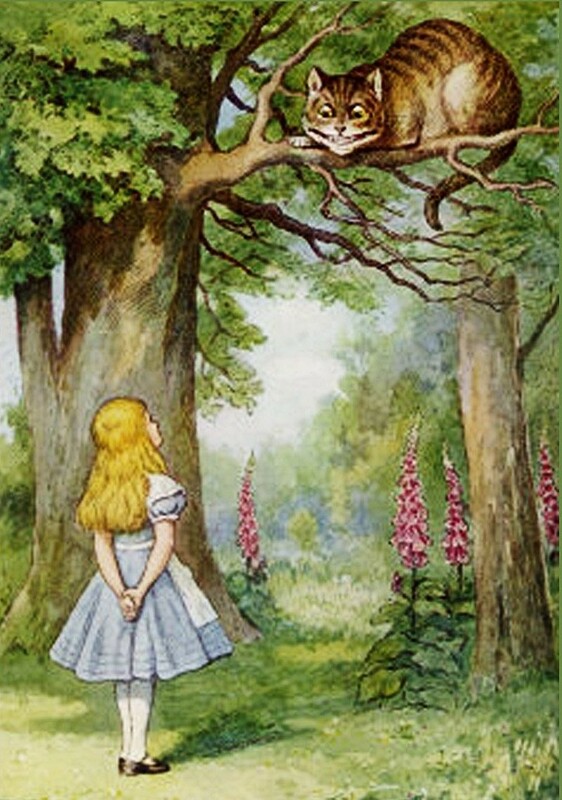 Naturally, however,, I never seriously expected to fulfil either of them, as I'd always assumed such fanciful beasts to exist only in the most fevered of imaginations. But not any more! When chatting recently on Facebook to fellow teratophile Markus Bühler, I was astonished to learn that he had encountered a photograph of a supposed two-trunked elephant in one of the many Ripley's Believe It Or Not! books, and that he had read of reports of extra-humped camels too. Needless to say, with an alacrity that would surely have impressed even Sherlock Holmes (had he actually existed, of course! 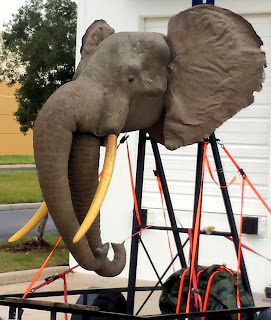 ), I was soon hot on the trail of Ripley's proboscis-advantaged pachyderm, and, lo and behold, Markus was absolutely correct! 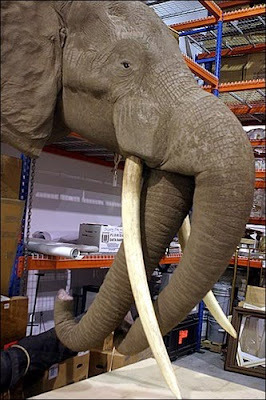 On 5 November 2005, Christopher Elliott had posted a short blog at: http://www.npr.org/templates/story/story.php?storyId=4989709 entitled 'Inside the Ripley's Warehouse of Oddities', and he had included a photo that he had snapped of the stuffed head of an adult African elephant...with two trunks! According to Christopher Elliott: "Apparently both of this elephant's two distinct trunks were fully functioning". Although, teratologically speaking, the development of a double trunk is not impossible - such an appendage could theoretically arise if, during the elephant's embryogeny, the region of developing tissue giving rise to the trunk had split - it must also be borne in mind that there are some exceedingly gifted taxidermists out there, who, down through the ages, have created all manner of very convincing fake beasts. Whether the Ripley's specimen (which I hereby dub 'Two-Trunks') is genuine (as they believe it to be) or not, however, it is undeniably a truly remarkable exhibit - if only because, following all the countless jokes in the past about the elephant being the only creature capable of making a trunk call, this particular specimen may well have been the only elephant able to reverse the charges!! Dromedaries with unusually shaped humps often bring fantastic prices. For example, in the Arabian town of Hodeida, a four-humped camel brought approximately ten thousand dollars. I have yet to trace any additional data regarding this or any other extra-humped camel, but the wording of the above passage clearly indicates that others have existed. What I did discover while searching online, however, was a report from Qatar that initially seemed to be a genuine vindication of the following popular children's joke - 'What do you call a camel with three humps? Humphrey!'. 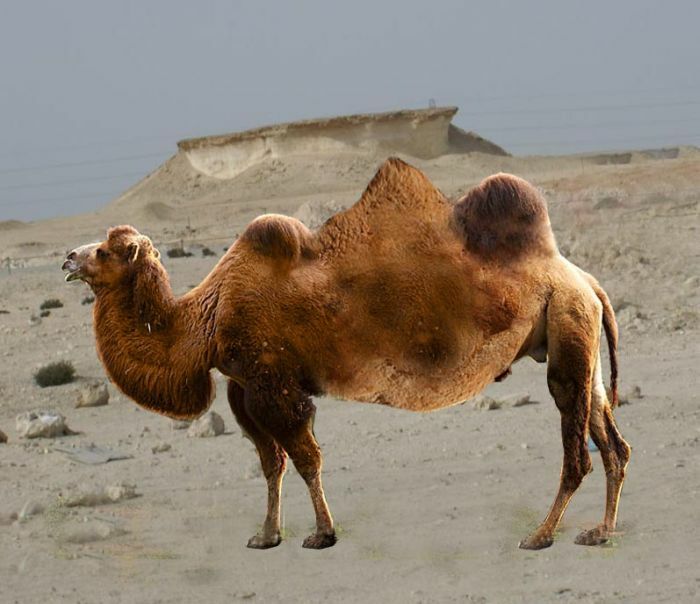 A 3 Humped Camel suspected to be the result of inter breeding between the 2 humped Bactrian camel and the Arabian Camel has been recently spotted near Dukhan. The strange creature, a huge bull is reported to have been roaming in the vicinity of Dukhan and Umm Bab and is desperately looking for a mate. But local female camels are avoiding him as he is an extra long stretch camel with 3 distinct humps, having different colors. Here is the picture of the Bull in heat. Sadly, as you can see from the photograph, the creature in question evidently owes its origin not to any humorous whim of Mother Nature but rather to the skills of someone versed in computer-generated imagery, most probably using either Adobe Photoshop or Corel Draw - as the first of many comments posted beneath the photo by readers was swift to point out. Never mind - it was good while it lasted. Incidentally, during my futile search for a real Humphrey, I found a much more convincing but equally fallacious photo of a triple-humped camel on Mrs. God's Blog here. Click here for the image. 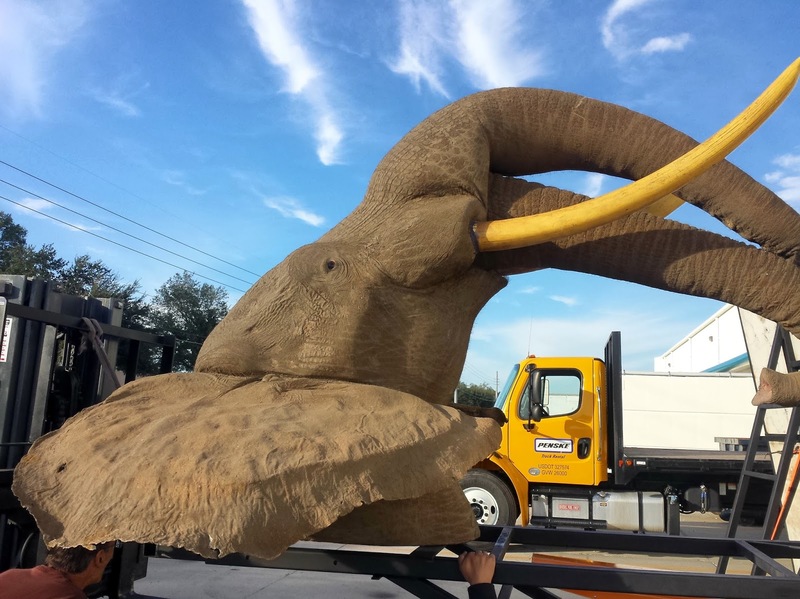 Interested viewers recently had the chance to observe the bi-nasal wonder that is Two-Trunks when on 19 November 2014 it was placed on public display at the IAAPA (International Association of Amusement Parks and Attractions) 2014 Convention in Florida. And earlier in the year, it had been exhibited by the Ripley's Museum in Baltimore, Maryland. My grateful thanks to Mr G.J. Williams and Ms Patty Harbort for this information, and also to mr Williams for kindly permitting me to include some of his pre-convention photographs of Two-Trunks here. ORANG PENDEK - AN APE-HAIRED HOMINID? A few days ago, Danish zoologist Lars Thomas announced on the CFZ bloggo the long-awaited outcome of his analyses of the putative orang pendek hairs collected by the CFZ team during its 2009 expedition to Sumatra. In summary, Lars revealed that whereas the hairs' DNA was most similar to that of humans (as demonstrated via DNA studies by his Copenhagen University colleague Tom Gilbert), their structure compared more closely with that of apes (specifically, the orang utans). These intriguing, unexpected findings have since elicited a degree of controversy, with some readers speculating that the CFZ team's findings are inconclusive, as the two sets of results appear to contradict one another and surely must be mutually exclusive, i.e. only one set can be correct, not both. However, this may not be the case at all. On the contrary, I agree entirely with team member Richard Freeman, who has suggested that BOTH sets of results could be correct - IF the orang pendek is in fact a hominid with ape-structured hair (Tom Gilbert has categorically denied, incidentally, that there might have been contamination of ape DNA with human DNA or vice-versa). On first sight, such a suggestion might seem unlikely, but in reality I documented a very notable, fully-confirmed, yet equally surprising precedent to this situation many years ago. "If the orang pendek truly exists, what could it be? Always assuming that it is indeed something more than a misidentified familiar species already known to exist within the areas of Sumatra from which it is reported, such as a gibbon or the sun bear Helarctos malayanus (which can rear up onto its hind legs and can leave deceptively humanoid footprints), three principal contenders are on offer. "The first of these is an unrecorded population of the Sumatran orang utan Pongo abelii. Although this species of great ape once existed throughout Sumatra, it has long since become extinct in all but this island’s northern extent, so any orang utans discovered in the orang pendek’s Kerinci Seblat heartland would be a major zoological find. Having said that, however, the orang pendek’s morphology, habitually bipedal mode of locomotion, and semi-carnivorous behaviour provide scant similarity with those of the orang utan, and Kerinci locals shown pictures of the latter ape by cryptozoologists readily differentiate between it and the mysterious orang pendek. "Identity #2 for the orang pendek is a completely separate species of ape presently unrecorded by science, at least in the living state. This identity is favoured by Adam Davies among others. Suggestions include a giant gibbon or an unknown specialised species of orang utan, adapted for bipedal, terrestrial activity. Richard Freeman has opined that it may be a descendant of the Miocene ape Sivapithecus (also ancestral to the orang utan). "The third, and, if correct, most exciting, revolutionary identity on offer for the orang pendek is a primitive species of hominid, separate from Homo sapiens. Traditionally, the most popular option within this category of identity is our own ancestral species Homo erectus, inspired at least in part by the famous ‘Java Man’ discoveries on Sumatra’s neighbouring island. However, a fundamental morphological flaw with any theory involving a surviving hominid has always been the much smaller size of the orang pendek – until, that is, the discovery of Flores Man was revealed in 2004. Coupled with reports of orang pendek-like entities called the ebu gogu said to have existed on Flores until very recently, some cryptozoologists (myself included) now look towards a living representative of Flores Man as a convincing explanation of the hitherto-bemusing riddle of the orang pendek’s identity." And now, the precedent that I mentioned earlier (and first documented over 20 years ago!) for a creature whose DNA corresponds most closely to one taxon whereas its hair structure is more similar to a quite different taxon. I refer, of course, to the king cheetah. Genetically, it has been fully confirmed to be nothing more than a genetic freak variety of the normal spotted cheetah Acinonyx jubatus, and hence is referred to scientifically as Acinonyx jubatus var. rex. Its ornate coat patterning of stripes, swirls, and blotches is merely a phenotypic expression of a mutant allele of a gene homologous to the gene responsible for blotched tabby coat patterning in domestic cats. "Hair samples which they [king cheetah researchers Paul and Lena Bottriell] had submitted to the Institute of Medical Research in Johannesburg revealed that the cuticular scale pattern of king cheetah guard hair compared much more closely with that of leopards than with that of spotted cheetahs." Cheetahs and leopards not only belong to separate feline genera but also are only very distantly related. Suddenly, an unknown hominid whose hair structure is more similar to that of apes is not so unlikely after all, is it? NIGHT-RAVENS - OR WHAT'S IN A NAME? What, if anything, is a mysterious winged creature known as the night-raven? The answer to this question depends upon whether you are investigating it from an ornithological, cryptozoological, or zoomythological standpoint - because three entirely different creatures all share this same intriguing name. In Norway, the nattravn ('night-raven') is simply a name given to the European nightjar Caprimulgus europaeus or goatsucker. End of story. Conversely, the night-raven that appears in English literature is a much more diffuse subject. It was a certain William Shakespeare who penned the following tantalising lines: “The night-crow cried, aboding luckless time;” (3 King Henry VI, V.vi.47), and “I had as lief have heard the night-raven, come what plague could have come after it.” (Much Ado About Nothing, II.iii.81). Equally, in his The Faerie Queene (II.vii.23), Edmund Spenser wrote: “And after him the owles and night ravens flew, the hateful messengers of heavy tidings,”. And according to John Lyly in his play Sappho and Phaon (1584), the owl’s shriek and the night-raven’s croak were fatal. But what is the night-raven, this ill-omened bird that appears in such esteemed works of literature yet is singularly absent from any comparably notable ornithological tome? Several identities have been offered, including the nightingale (even though its famously musical, uplifting song hardly corresponds to the night-raven’s hoarse croak of doom), the afore-mentioned European nightjar, the bittern, various species of owl, and even the night heron (curiously, the latter’s scientific name is indeed Nycticorax – ‘night crow’ – although it shares no resemblance with any corvine bird). 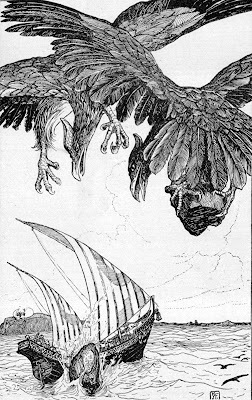 However, as elucidated by Edward Armstrong in The Folklore of Birds (1958), it is most likely that the night-raven is of mythological rather than ornithological status, deriving from Norse legends in which the raven is identified with Odin who in turn became identified with the Wild Hunt tradition, featuring spectral hunters riding through the sky at night with a pack of howling dogs – which in literature are extensively associated with the night-raven. "Nattravnen is found in the folklore of Sweden’s two southernmost regions, Skåne and Blekinge. It’s not very well known in general Swedish folklore, and it’s not considered a mystery beast per se, like the Lake Storsjö monster, for example. It’s called Nattravnen in Skåne and Leharven in Blekinge. The name “Nattravnen” is said to mean “the night raven”. Leharven is a more dubious name. “Le” is an old word for bodily joint (and I’ll get back to why that’s a part of its name). 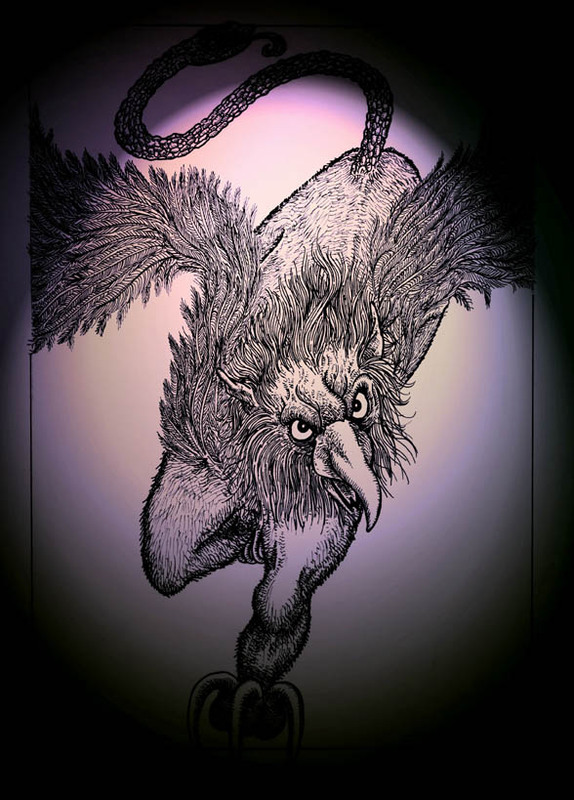 Nattravnen is seldom described in detail, but it is a bird-like monster, sometimes said to be dark in colour, but without any feathers. It belongs to a special group of monsters called “grimmar”. Grimmar are supernatural animals that cannot be killed by any normal weapons. They are either ghosts of animals or beasts created by sorcery. 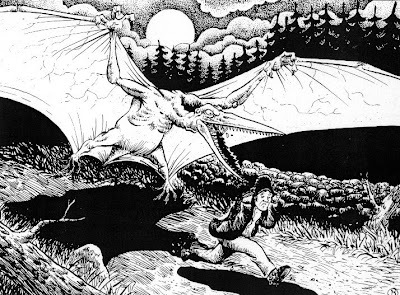 "Nattravnen flies around during the night and is said to devour any lonely wanderer on the roads. But the monster was also dangerous in another way. If you looked up just as it passed the moon or when its body was illuminated by the moon rays, you would be able to see the skeleton (and its joints) through the creature’s thin hide. This was a very bad thing and the sight would render you horrible pains. Mostly you would fall terribly ill and vomit blood or get blood in your urine for at least a week. "There is an old story from Blekinge concerning Lake Halen, where in old times a flying monster lived. This creature is not actually identified as Leharven, but it appears to have many similar traits. According to legend it resembled a vulture, but without any feathers. When returning to the lake it would not perch in a tree, but dive down under the water and disappear. In the 1970’s a local school adopted the creature as their mascot and dubbed it “Halengamen”, “the Halen Vulture”. "If I’m not totally mistaken this aquatic connection rings a bell concerning the African “Kongamato”. And the feature about getting ill from watching the flying beast also seems familiar, from something in the West Indies, perhaps. "There’s also a folktale about a giant vulture sweeping down and grabbing an oxen in an area of Blekinge called Jämshög. The name is said to be derived from “Gamshög” =”Vulture’s Peak”, a hill where the creature is said to have been observed seen sitting. This tale is generally considered as a tall-tale, with no real etymological verification to the name of Jämshög. 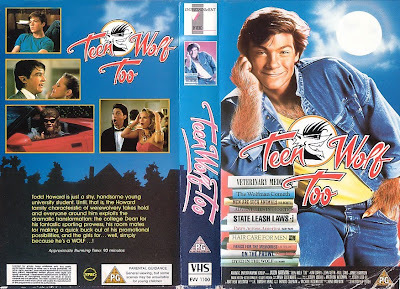 It’s still interesting as a Swedish counterpart of the American “Thunderbird” tales. "I’ve done two illustrations of Nattravnen, where I’ve chosen to depict it as very pterodactyl-like." From a Norwegian goatsucker and a corvid of Odin to a monstrous Swedish neo-pterodactyl - who would ever have guessed that a name as innocuous as 'night-raven' could have conjured forth such a dramatic diversity of creatures real and imaginary?